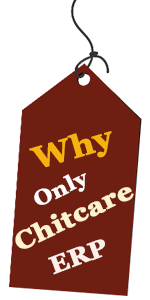 "We found Chit Care is very easy to use. It helped us a lot in saving our valuable time and for speeding up our works." -Balussery Benefit Chits Pvt Ltd.
"Chit Care contains very powerful tools such as SMS Module, Collection Terminal, Bluetooth Printing and Financial Accounting Reports etc. These Tools helped us in getting the accurate information and providing better services to customers." -DNC Chits Pvt Ltd.
"We are using this Chit Care software from past couple of years and till now we haven’t found any difficulties in using this ChitCare (Chit Fund Management Software). I strongly recommend. " -Lenaxis Chits Pvt Ltd.
"Thanks a lot to chitcare software. It became a very useful tool for our chit fund activities and made our works simple. " -Happy Returns Chits. "Chitcare’s ability to work from anywhere has made our work simple and gets information at any point of Time, though I keep on moving." -Brindavan Chits.
" Chit Care software is very technically advanced and it made our office a paper free office." -Navashakti Chits(P) Ltd..
"Chitcare’s ability to work from anywhere has made our work simple and gets information at any point of Time, though I keep on moving." -Chalapathi Chits. "By using Collection Terminal of Chitcare, we are getting the faster & accurate information from our collection agents and saved data entry time in office." -BhimShankar Chits. "By using SMS feature from chitcare, we have improved our collections, as members are getting sms regarding outstanding amounts to be paid." -Priki Chits. "Mobile Module in Chitcare has made our customers very happy and it increased our customer’s referrals which is leading to our company growth." -Dhanakodi Chits. "Various forms which have to be submitted in register office can be easily generated with chitcare software. It made our task easy." -Flexroute Chits. "Chitcare is providing all consolidation reports. This is helping us to analyze all our branch performances." -Omisha Chits. "All notices in chitcare are as per chit fund association rules and state laws, which made us to work more efficiently. " -Akshodaya Chits. "Chitcare includes all the features which are required for any chit fund company." -Shree Charan Chits.